While the Ultra Boost and NMD continue to see most of the spotlight for the Three Stripes, the adidas Prophere silhouette you should also be paying attention to. After we hipped you to it's initial release back in December of last year, we're seeing a second wave of the model which will arrive soon. And when we say "soon" we mean this week. The Prophere will soon be available in black, olive, khaki, teal and white, the latter two in women's sizing. Soft knit upper construction, an enlarged 3-Stripe lacing system, and a can't miss chunky sole round out the aesthetics of adidas' latest market stunner. See more shots of the new Prophere colorways below. 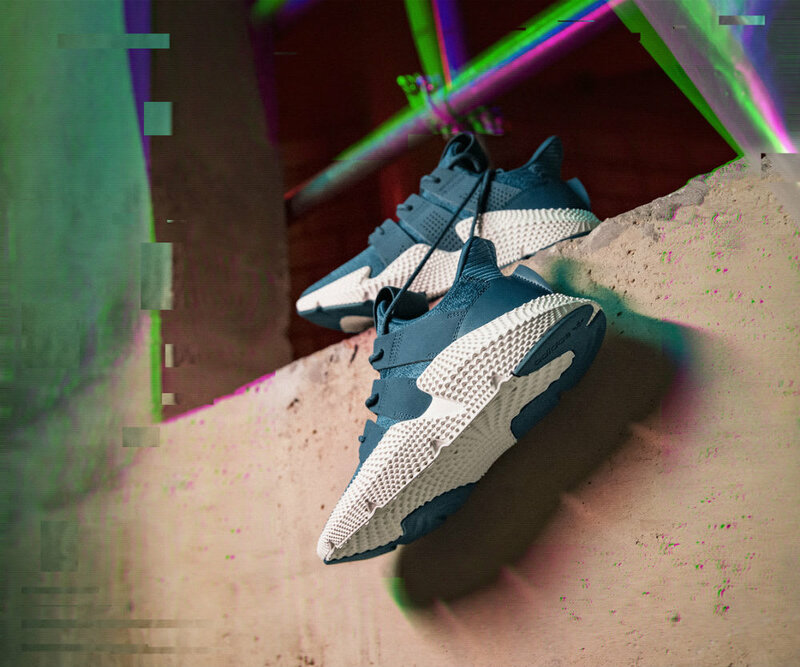 Priced at $120 (which is pretty reasonable compared to the Boost, btw) these new Prophere colorways will release on March 1, 2018 online at adidas.com and via various Adidas Originals stockist such as Centre here in Dallas. If you're looking to shop the Profere now, we found a few of the first wave colorways available for purchase. Hit the links below to shop the sneaks. Cop or Can: Adidas Falcon In Leather "Ash Pearl"
In love with this neutral hue. Cop or Can: Adidas x Raf Simons "Ozweego" & "Stan Smith"
Disrupt the norm with the Three Stripes.